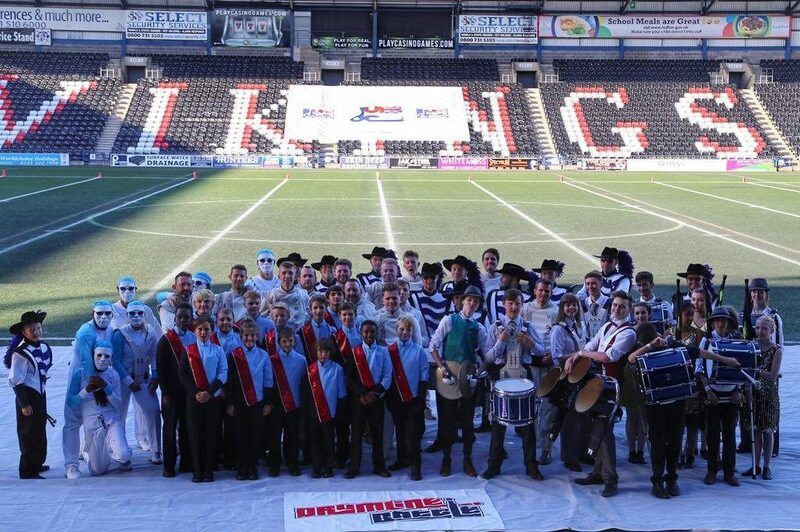 Following the success of the inaugural UK DrumLine Battle event held at last years Drum Corps United Kingdom (DCUK) Championships it was a quick and easy decision to build on this and expand the event for the 2016 DCUK Championships. This year we had 5 units “fighting” it out and, for this year, heats were held following the British Championships Open Class Preliminaries and featured, Beeches (Birmingham), Concord AllStars (Sheffield), Liberty (Northampton), The Company (Chesterfield) and The Pacemakers (St Marys Cray, Kent). These heats then gave us 4 units moving into two semi-finals where Beeches were pitted against The Pacemakers and Liberty against Concord AllStars. Two very close Battles resulted in The Pacemakers and Concord AllStars being put through to the evening Final – giving a repeat of the 2015 event. And so to that Final. This took place under the floodlights immediately following the last Corps performance in the British Drum Corps Championships Open Class Finals and both units were particularly fired up. The audience once again really got behind groups and after both their performances it was then up to the Judges to deliberate and try and split these two apart. A tense few moments and the announcement was made – Concord AllStars had just taken the edge and were this years winners. Watch out for DrumLine Battle 2017 – it will be back!! 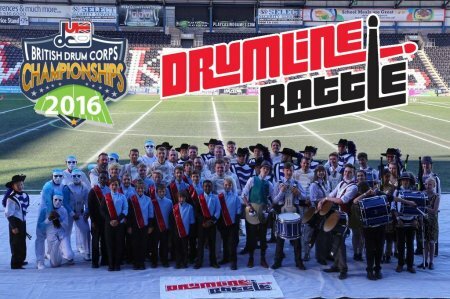 DCUK would also like to, once again, extend its thanks to Dan Acheson, John DeNovi and Eric Hjellming of Drum Corps International for their help and support of this DrumLine Battle and we look forward to continuing to grow this partnership in the future. DrumLine Battle™ is a program of Drum Corps International and for more information visit the official website at www.drumlinebattle.com.